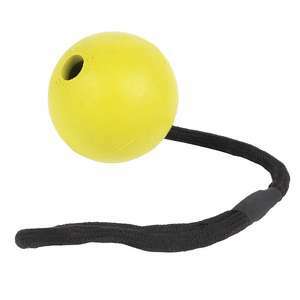 This floating ball-on-a-rope dog toy from Happy Pet is as tough as they come! The natural rubber floating balls are almost solid right through making them super tough and strong. The rope is of the highest quality allowing the ball to be thrown considerable distances. Made from floating rubber material, these all-round toys are great for tug, retrieval training and water games.